Coming to ACCUS2017? Consider extending your trip! 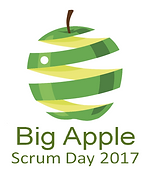 Big Apple Scrum Day (BASD2017) is a one day community conference organised by NYC Scrum User Group. Scheduled to run on May 1, 2017, this conference is focused on sharing Scrum/Agile knowledge and supporting local community, discovering new practices and learning from your peers. Growing your knowledge: through experimenting and failing, taking risks, and pushing your boundaries. Growing your team: through self-organizing, revisiting Scrum values, and getting to the “We are great” stage. Growing your Scrum: through applying a better use of Scrum practices and widening the use of them in your organization. Growing beyond your Scrum: opening your eyes to other frameworks and considering practices more suitable to the problem at hand. Keep growing and inspiring others to grow with you! All around you, plant the seeds of change for an Agile Mindset. Learn more and register with a special 20% off discount for ACCUS2017 participants!